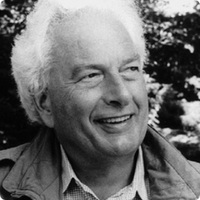 Joseph Heller was the son of poor Jewish parents from Russia. Even as a child, he loved to write; at the age of eleven, he wrote a story about the Russian invasion of Finland. He sent it to New York Daily News, which rejected it. After graduating from Abraham Lincoln High School in 1941, Heller spent the next year working as a blacksmith's apprentice, a messenger boy, and a filing clerk. In 1942, at age 19, he joined the U.S. Army Air Corps. Two years later he was sent to Italy, where he flew 60 combat missions as a B-25 bombardier. Heller later remembered the war as "fun in the beginning... You got the feeling that there was something glorious about it." On his return home he "felt like a hero... People think it quite remarkable that I was in combat in an airplane and I flew sixty missions even though I tell them that the missions were largely milk runs." 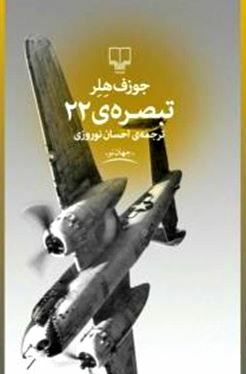 سرتاسر دنیا، پسران تمام طرفهای درگیر بر سر چیزی جان میدادند که به آنها گفته شده بود وطنشان است و به نظر نمیرسید برای کسی مهم باشد، دست کم برای خود این پسرانی که جان جوانشان را از کف میدادند.